"1972 - Windsor Castle - Guide. " 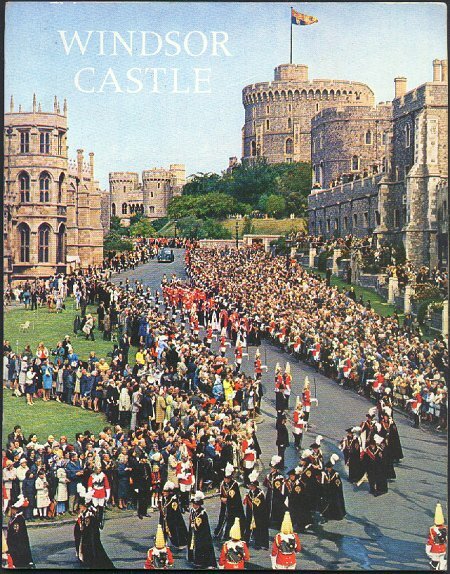 (948) 1972 - Windsor Castle - Guide. -Condition: Excellent This Windsor Castle Guide is full of beautiful full page color photos that include the grounds, paintings, and different rooms in the castle. The written text describes the Castle and gives a short History of the Building. The photography is stunning. The Guide is made of a stiff cardboard cover and shiny surfaced pages. It measures 7" by 9" and has 32 pages. Price: $5.00 + shipping.